Estee Lauder Double Wear Stay-in-Place Shadow Cremes! It’s been a while since I checked out the Estee Lauder Double Wear Stay-in-Place Shadow Cremes* (we’re gonna need to abbreviate that from here on in). I’ll have to admit not noticing that they’d been sneakily replacing the shades with a whole bunch of new gorgeousness. That said, I’ve long been a fan of the formula… one of the most long-wearing formulas I own. Infact, the only ones I’ve found to rival them (and I’ve used a lot) are the new Bare Escentuals Primer Shadows. If you want to see my previous post featuring some long-discontinued Lauder shades, you can have a read back through the archives here. Six current shades that are distinctly more wearable for neutral-loving beauty fans than the previous incarnations… same great formula. Let’s have a swatch fest. In between playing with my Wet n’ Wild palettes, it’s these that I’ve been reaching for on a daily basis. 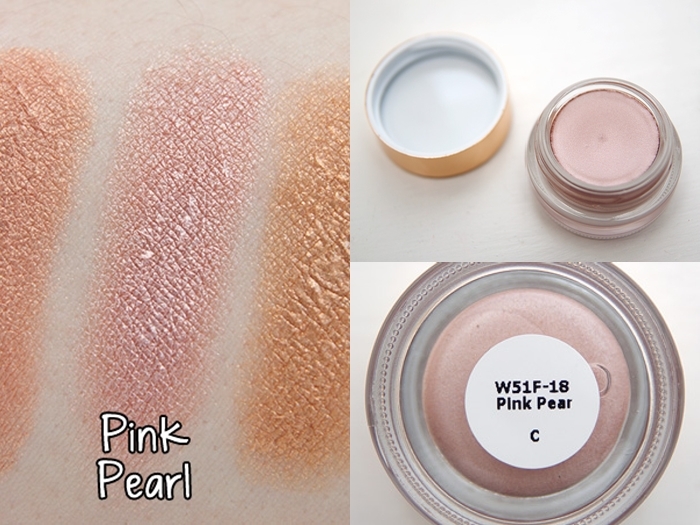 Today, I’m sporting Pink Pearl on the lid (applied with my fingers) and Mochachino brushed through the crease (applied with my Paula Dorf Sheer Crease brush). The new shades from Estee Lauder’s Double Wear Shadow Creme lineup are a lazy girl’s dream. No primer, a brush if you can be bothered and a formula that blends itself. 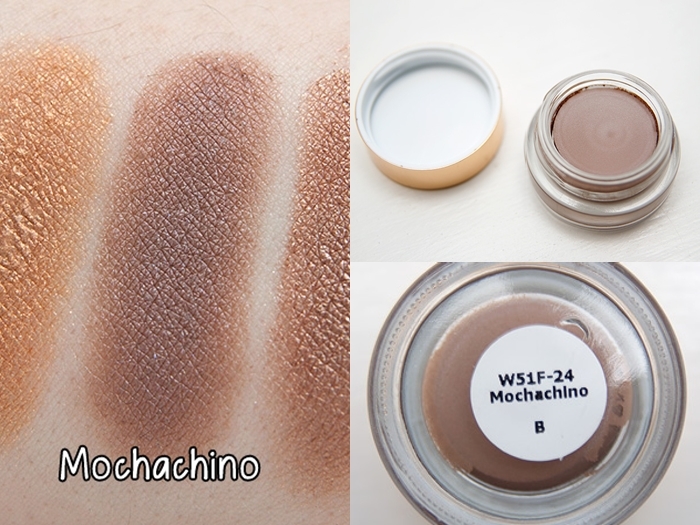 My top pick from the new shades would be Mochachino, not the most visually exciting but the true workhorse of the bunch. The slightly damp squib? 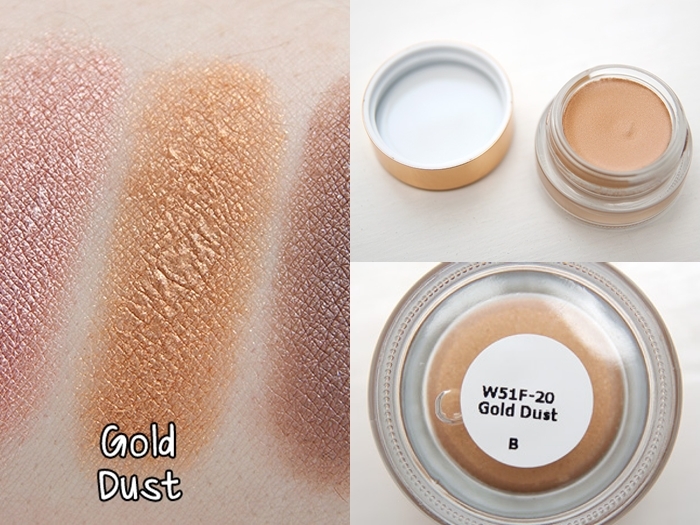 Gold Dust lacks the magic the others posess. 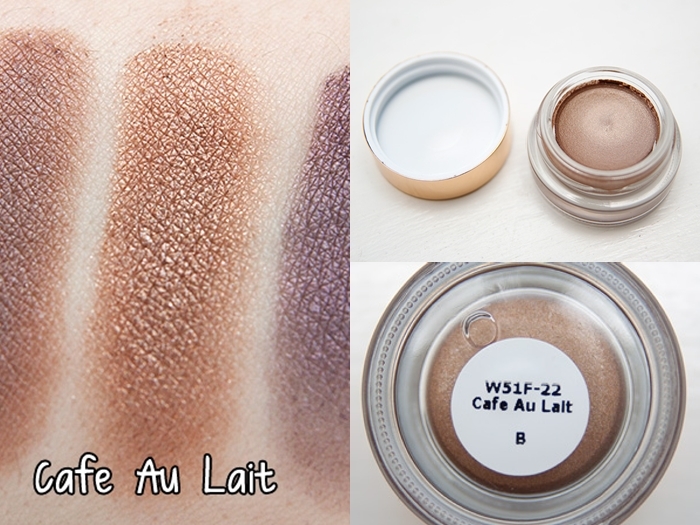 It doesn’t apply as smoothly and is probably better suited for layering over a dark shade for the sparkle factor. 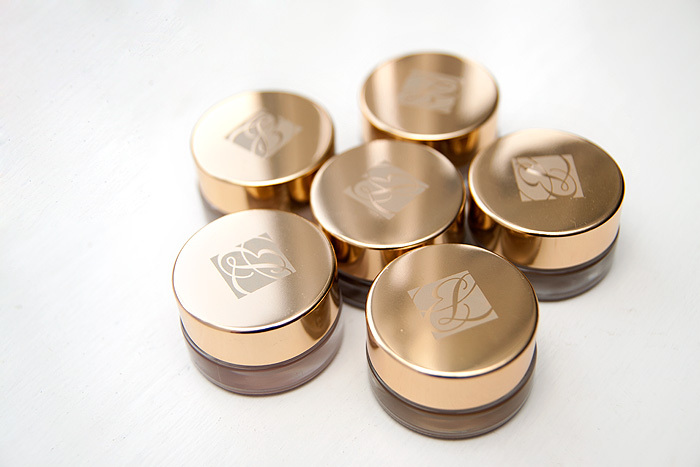 Estee Lauder Double Wear Stay-in-Place Shadow Cremes are priced at £16.50 each and available online and on counter. Have you dabbled in Estee Lauder’s cream eyeshadow range? Holy MAC Paint Pot batman! I’m liking the look of Mochachino too since it’s the least shimmery of them all, but I’m not sure if I could part with the £16.50 for it. Wow! I really like these! Maybe I might pick one up because of the price but holy moly, these are gorgeous! Smokey Plum looks beautiful. I wish these eyeshadows came in more colorful shades though as I’m not a big fan of neutral shades. 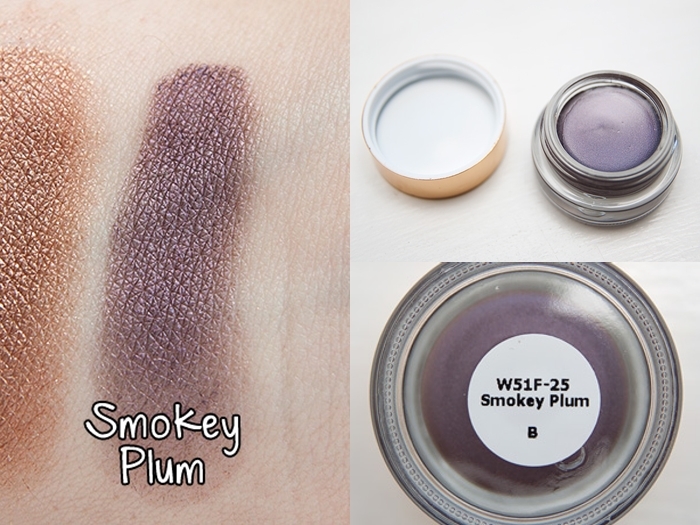 I am drooling over Smokey Plum!! I bought two of these but swapped them because I preferred my Bobbi Brown cream shadows – they have better shades and greater colour density. I have Antique Gold from the old line, the formula is a dream for lazy days. I’ve been eyeing Mochachino for awhile, but not sure if I’ll get it yet. Thanks for the swatches! How do you think these compare to Mac Paint Pots and the Benefit ones? My Mac Paint Pots crease too soon on me so I was thinking of getting one of the Benefit ones instead (I’ve been saving up my Boots Advantage points!) but would it be worth the extra £2 to get one of these instead? Will they cancel out my discoloured eye lids? I seem to have oily lids, so shadows alone crease in a few hours and last about 6 with Mac Paint Pots. UDPP + paint pot works but I don’t have much time in the mornings! Longer lasting than MAC… Benefit is an odd comparison because most of my creaseless creams stay very well on my lids… a teeny bit of creasing but no fading if that makes sense? But I have 2 Benefit shades that don’t work so well. 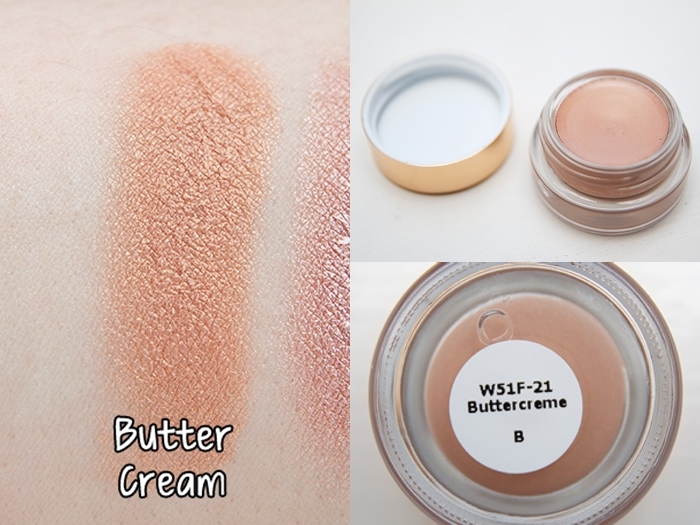 Other ones I have that don’t work as well as these include MUFE Aqua Creams (but I love the colours SO much), NARS (crease crease crease), Laura Mercier (average). I die for Smokey Plum. Oh me lordy! These are gorgeous! 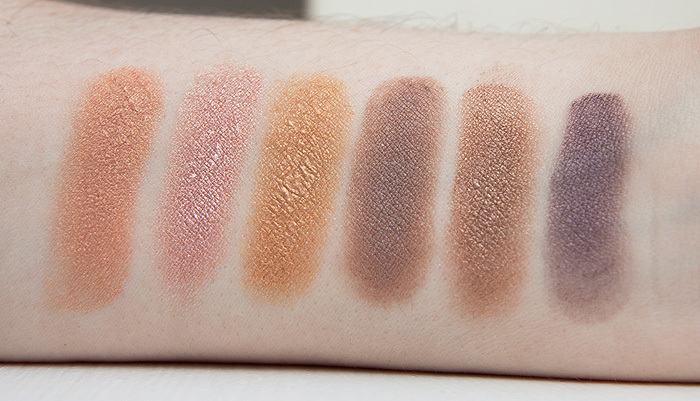 I love basic neutral shades for base, and these look beautiful. I have 2 (or was it 3) Estee Shadow Cremes, but I would absolutely love to add these to my collection. Now I’ll just have to go see if we have these shades here in Malaysia. Smokey plum and cafe au lait are gorgeous shades. Not sure my purse can quite agree with the £16.50 price tag though! I got myself Mochachino and Smokey Plum with my Boots points but they’re £15.50 on Boots website and £16.50 in the shop! Anyway, I think Smokey Plum was definitely worth it. I use the palest of the original line – Ivory lace as my everyday work suitable eye, or as a base for a taupe colour. It is completely brilliant and does not budge or crease. Tempted by the plum coloured one, but it might look a bit ‘bruisey’ on me. Age appropriate cosmetics - Should we tone it down?